You’ve just landed in Paris, grabbed your rental car and are ready to drive to Provence for your long-awaited holiday. You enter the address of the bed-and-breakfast you reserved into the car’s GPS and you’re on your way. What could be simpler? 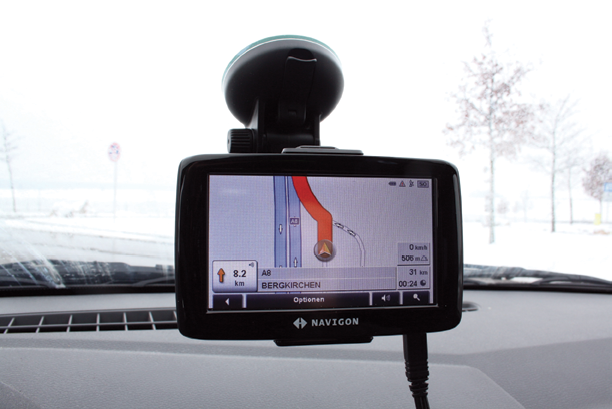 Fact is, GPS has come a long way since it was first developed by the U.S. Department of Defense at the height of the Cold War in the 1960’s. Originally designed to track the location of submarines and launch ballistic missiles, this satellite-based navigational system has been miniaturized and today is considered a basic consumer item in cars, mobile devices and an ever-increasing array of commercial applications. Now, with continuing advancements in hardware and the development of low-cost satellite technologies such as Cubesat, EO satellites have become available and affordable for commercial use. In fact, these new technologies have spawned a brand new market segment of “space entrepreneurs.” These companies are taking advantage of low-cost cube satellites (CubeSats) to provide Earth monitoring services at a fraction of the cost of legacy satellites. With the average cost of constructing and launching a CubeSat in the range of $250,000, the business case for EO has become extremely compelling. This is evidenced by the establishment in recent years of dozens of start-ups, backed with venture capital dollars, focusing on the EO market. As the entry barriers recede and business opportunities for EO services expand, more and more small companies are starting to offer data analysis and GIS services for commercial use. In fact, a full ecosystem is starting to develop around data and imagery from space—starting with the satellite owner, through the GIS expert responsible for analyzing the data and down to the end customer. Use cases for EO are virtually endless. Take, for example, a farmer using data imagery to remotely monitor the health and yield of crops on a daily basis over huge tracts of land. Insurance companies, as well, are starting to understand the benefits of EO data for estimating the level of risk per territory and assessing the impact of natural disasters such as floods and earthquakes. Artistic rendition of a CubeSat orbiting Earth. EO data is a key enabler when it comes to effective and efficient decision making, often translating into huge cost savings. 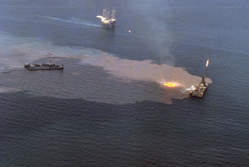 Oil and gas companies use satellite imagery to monitor offshore oil spills and help coordinate cleanup efforts, which in the case of major spills, like that in the Gulf of Mexico in 2010, can cost billions of dollars. Data and imagery from space can be used to increase agricultural productivity, reduce risk to insurance companies and in some cases (such as disaster management) even save lives. In many of these applications, the need for fresh, real-time data is crucial. Even in cases where an older image will suffice, there is no guarantee that stored data exists for the specific area of interest. In other words, on-demand access to the most up-to-date data and images is essential. At the end of the day, to benefit from the data and images collected by the satellite, service providers need to be able to download the data and analyze it in a timely manner. 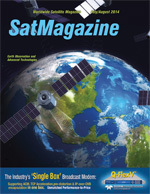 Moreover, as the number and types of satellites used to perform Earth observation continually increase, more ground stations are required for data transmission (taking into account that several satellites may be located above the same interest zone). This has traditionally raised several problems for small and medium-sized providers of data services. First, they simply couldn’t afford to purchase and operate their own ground station, with setup costs exceeding $1 million (excluding annual operational costs). This meant that smaller businesses had to rely on satellite owners or third party middlemen to download the raw data for them. These data download service providers did not give businesses the flexibility and availability they needed to support on-demand data downloads and often gave priority to defenses forces and other “high profile” customers. ORBIT, a leading provider of highly accurate tracking systems, offers an innovative solution that removes these obstacles from the expert whose business depends on the data. At a fraction of the cost of a legacy ground station, ORBIT’s new Gaia-100 family of ground stations enables real-time data capturing from LEO or MEO satellites without reliance on third parties and without delays. The Gaia series downloads real-time data online, so data experts and researchers can access and analyze the information they need, when their end customers need it. Gaia-100 also helps CubeSat and smallsat owners boost their business. These new players have yet to establish a ground station network, and their business model to a large extent depends on how their end customers download the data. Requiring affordability without compromising on data quality, this growing segment of service providers is actively looking for new and creative solutions. Gaia-100 is easy to install and supports a range of antenna sizes from 2.4 to 4.5 meters. Compact, relatively lightweight and operating under a radome, Gaia can be installed on a building roof, eliminating the need for an open field which was a common constraint faced by many businesses in urban areas. Yossi Avraham is an expert in the Earth observation and remote sensing domain and currently serves as a Senior Product Marketing Manager at ORBIT.